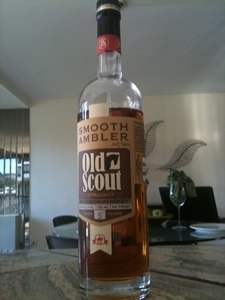 The Coopered Tot: Smooth Ambler Old Scout & Very Old Scout - Brokered Bourbon As TheRight Thing To Do. I served the Yearling for a group of my whiskyfriends and they were impressed with the bourbons quality at the young age. I saw your post, Steffen - it's brilliant. I'm basing the LDI info on the percentage of rye in the mash bill (which matches LDI's "40% Bourbon" at 36%. The barrel end you've got a picture of is definitely Kentucky "KY9". But 4 Roses is KY8. KY9 is the Old Continental / Owl Hollow DSP for Bernheim (who also have KY1 and KY2). 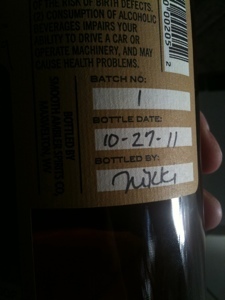 I'm not sure what that is doing there - but maybe some of the old Bourbon they scouted is old Bernheim stuff? There's a story there for sure. You are 100% correct. 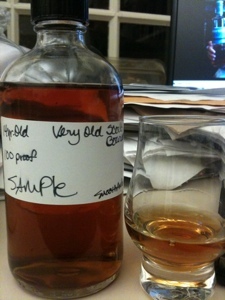 The photo pretty clearly shows KY8 - Four Roses - which fits perfectly with Seagrams. What a wild looking barrel head. I just noticed that Park Avenue Liquors has the 19 Year Old VOS (for $90 - a pretty good value for such a senior Bourbon). I'm quite curious about it. The point here is that there are many batches of VOS. Perhaps one of them had Four Roses juice (and old, pre-Kirin Four Roses juice to boot). Maybe they all do. The LDI story for VOS is based on circumstantial evidence. I will say this. 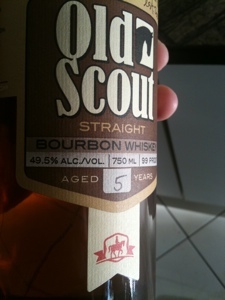 Old Scout and Very Old Scout taste like the same juice, at different ages. I would wager pretty hard that they are from the same distillery. Indeed it is. I wish I could taste what's in that cask. I'm also quite curious about the origins of many contract bourbons. What's in Willett's Single Barrel? Rowan Creek? Black Maple Hill? The very interesting article attracts one of the most impressive articles I've read. I also have some information that I want to share with you.